How Does Child Psychiatry Ruin Lives? Psychiatrists want to help people. Child Psychiatrists want to help children and their families. Many times there are remarkable and heart-warming stories of intelligent guidance and warmth which saves children and families from lives of suffering and despair. This is a story of the opposite. A story, so scary to me, that I feel compelled to write about it as a cautionary tale. To preëmpt my critics, let me start by saying there are many sides to a story and cause and effect cannot be determined. I float in a world of theories and ideas which prove serious consideration resulting in different approaches to treatment. I do not work in a world of certainty or clear scientific evidence. With that in mind, let me tell you the fictionalized story of Joey, age 25, Caucasian, who grew up in a middle class area of San Diego. Joey is the youngest of four children. 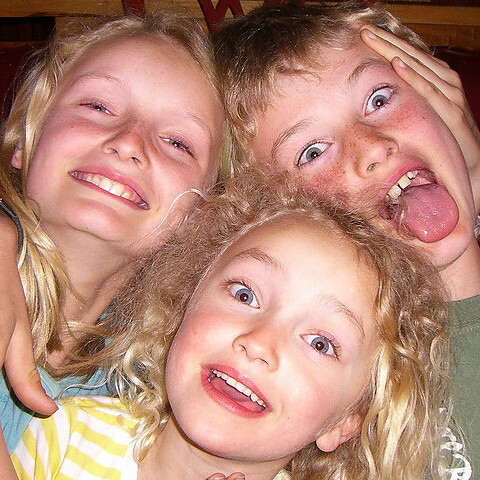 His three older siblings, by his report were “easy” and he was “difficult”, or so his mother told him. At 6, his mother took him to an academic medical center, trying to figure out why he was “so difficult.” Academic child psychiatrists diagnosed him with “atypical autism” and off he went, at age 6 on a continual journey of psychotropic medications including Straterra, Wellbutrin, and stimulants. Joey reports that being on these medications not only did not help him, but made him feel defective and disabled. Despite those negative feelings Joey got into a good college and did well, until he hit a disappointment, a break-up of a loving relationship, and by his account this triggered his childhood feelings of being seen as “disturbed” and so he, although never having used addictive drugs before, spiraled down into the world of heroin and cocaine. Yes, all of that could have happened without a mental health diagnosis, without being misunderstood as a child with a mental illness, as opposed to a child with a bad temper. Yes, all of that could have happened secondary to parents who felt inadequate to raise him and made him feel very inferior to his three older siblings, even if they had never sought a psychiatric evaluation and treatment. My point, however, is to illustrate that in this fictional tale, it is plausible that the medical team made Joey’s life worse. What would have happened, I wonder, if the child psychiatrist had said that Joey is a wonderful kid, outlining his strengths, who needs help with anger management? What would have happened if the child psychiatrist would have guided this family towards a more positive parenting model where Joey was seen as a child who could go on to great things, as opposed to seeing Joey as a person who would forever be disabled and crippled by his limitations? Joey’s story, with all of the uncertainties associated with it, makes me cry. I cry because whether this applies to Joey or other adults out there, growing up with a label that suggests they are limited in their abilities, when in fact, they have enormous potential, I feel the tragedy of what our profession has done to their lives. Yes, I have diagnosed many children as autistic, but my bar is low, as it should be. The label, and I understand it gets very needed services, has the hazard of diminishing the self-empowerment of that child. It has the potential to take a capable person, perhaps with some rough edges, and make them feel small and helpless. Children, and adults, need understanding to flourish in this complicated and demanding world. Psychiatric labels oftentimes limits that understanding and that alone can have dire consequences. Add to that the journey of psychotropic medications which flows from that diagnosis, leads to an identity confusion that can cripple the budding adult. Joey was not crippled by his biology, I suspect, but he was crippled by his psychiatric journey. Tragic, unnecessary. and it has to stop. Terry Gross interviews Andrew Solomon who interviewed Peter Lanza about his deceased son/murderer Adam Lanza. Mr. Solomon concludes that the diagnosis of Asperger’s Disorder narrowed the field for the parents that they did not think of Adam as a potential mass murderer. Mr. Solomon argues that diagnoses both help and hinder the understanding of a child. Although I have deep respect for Mr. Solomon, I think he missed the point. Adam Lanza’s behavior may not be the result of psychopathology or trauma. It may be an unknowable part of his motivational system, that he killed innocent children and then himself. The relationship of violence to psychopathology is never clear. Adam’s “Asperger’s” diagnosis does not narrow the field to say that he is or is not going to be aggressive towards others.The diagnosis did not stop the parents, the therapists or the teachers from postulating his potentially violent future. Apparently, the extent of his violence was shocking to all. As I have said many times in these posts, violence should not be shocking. As human beings, we all have the urge to become aggressive, and so destruction is part of the human condition. I am in no way saying that the professionals or the parents should have been able to predict his behavior, but I am saying that whenever anyone is off center, when their mental state tilts too far in one direction, then violence is always a possibility. The fact that we can’t forecast the future does not mean we should be shocked by it. 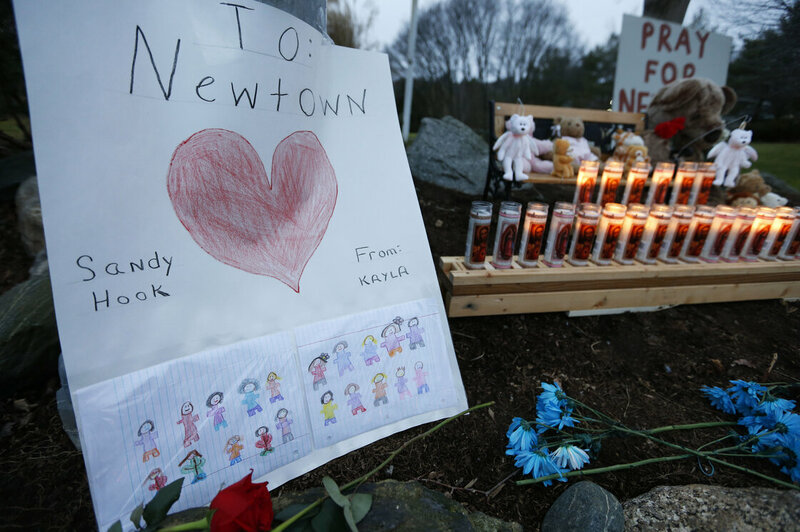 Adam Lanza’s violence was one of the saddest days in recent US history; that is certain. To say that his diagnosis prevented further understanding of his mental condition does not capture the complexity of the human brain. I thank Andrew Solomon for taking the time to interview Peter Lanza, as Mr. Solomon helps us develop compassion for the parents of these very unstable and unpredictable offspring. Yet, he claims that he learned how diagnoses take away from deeper inquiry. By my way of thinking, deeper inquiry is an ongoing process, not related to a diagnostic label. This inquiry never stops, no matter how long or how intensely I work with patients. 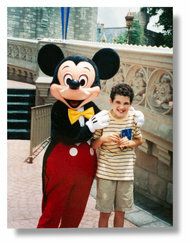 Owen, the boy in the picture, and the article, connects to Disney characters like an Oliver Sachs book. His brain begins to develop, then reverses itself, and then comes to life through the stories and characters in Disney movies. Of the many remarkable aspects of this story, the parents, at first devastated, re-booted to see their son thrive when he could relate life to a story that touched him. And so they taught the therapists how to help Owen, and so the therapists listened, and a new village was formed; a village with both real people and imaginary characters, woven together to help Owen achieve independence and self-esteem. Owen sees his brother get sad around his birthday, and so, like Peter Pan, understands that his brother is sad to grow up. This understanding is astounding given Owen’s apparent language deficits. Peter Pan gives him the words to express himself, helping his parents to see the tools needed to tap into Owen’s deep empathy. Ron Suskind, Owen’s dad, is writing a book. Often, I am suspicious of parents who write about their family members for, what could be, purely narcissistic gratification, or shameless self-promotion. In this case, though, Mr. Suskind is doing an amazing public service. If we listen carefully, he argues, we can learn how to help. Yes! Ned, thirty-three, “stiffens up” as he relates to me how his wife describes his behavior. “Well, we were watching a play, and we had to sit separately since my wife could not get two seats together. She always has me hold her cell phone. I don’t know why. She got three text messages during the play, so as soon as the play was over and we came together, I told her that her phone was going off. She got upset with me that I did not connect with her about the performance, or that I did not ask her how her seat was. She said I was socially awkward.” “Did you agree with her?” I asked, thinking that I am sympathetic to the wife’s point of view that she was probably anticipating reconnecting with her husband after the show and he was hyper-focused on making sure she knew she had messages to attend to. I could well imagine that this conflict of expectations created a large amount of tension, which had Ned been more socially astute he could have handed her the phone and asked her about the play at the same time. “Yes, of course, I am socially awkward,” Ned, readily agrees, “but I don’t know what to do about it.” Ned says with the innocence and sweetness of a child. “So, it was not intuitive for you to try to emotionally connect with her after seeing a show,” I ask, knowing the answer. “Yep, it was not intuitive,” Ned says with a confused tone as to how something like that would be intuitive. “Maybe you need to keep in mind that the moment of reconnecting, after a day’s work, or after any separation for that matter, is a sensitive time, and you should take extra care to be attentive to your wife as a whole person, and not get so focused on one issue.” I say, stating what is obvious to most people, but what seems to need to be spelled out to Ned. As I describe this interaction with Ned, I imagine my readers asking me about his diagnosis. Do I think Ned has Asperger’s? I imagine Shelly and Jon asking me. I think that social skills, like all skills are on a continuum, as are athletic skills, musical skills, math skills, etc. Ned’s social skills are weak, but I would not extend that to say that he has a social communication disorder. Ned is, for the most part, happily married, a father of two young children, and successful socially at work in that he gets along well with his colleagues. His issue is that he lacks social intuition that is helpful in close relationships. However, he understands his deficit and so he is religious about coming to psychotherapy. He is motivated to make his wife feel more comfortable with him. Psychotherapy may help him be more socially conscious, in a wooden way at first, in that he may sound rote, rather than warm, but over time, the warmth will be added to his reactions and so I am hopeful for the future of their marriage. Frank, twenty-six, took seven years to slog through college. He started in community college, that lasted for three years. He then transferred to a four-year college, and after multiple withdrawals, finally finished after four more years. He was passionate about engineering, but he had a terrible issue with procrastination. High school did not go well for Frank, and for that matter, neither did middle or elementary school. He was relentlessly teased for “not fitting in,” which, as he says “was true.” Frank, one might say is shy, but in the view of multiple mental health professionals, they told him he was on the “spectrum.” I started seeing Frank at age ten, consistently arguing against putting him on the “spectrum,” the autistic spectrum, that is. Frank has theory of mind. He understands how other people think. He is kind, considerate and extremely thoughtful. Yet, he is profoundly afraid of being disliked, which makes him awkward, while at the same time, making others ill-at-ease. Frank worked at his job search in the same way he slogged through school. He was tenacious and resistant at the same time. He felt determined to find a job, but when the employer showed interest, he stalled. It was like he asked a girl out and when the girl said yes, then he would “get sick” so as not to close the deal. His fear overwhelmed his desire for independence. Yet, just like with his studies, he persevered and he landed a job, despite his reluctance and despite the economy which tilts against his age group. Sure, technical skills are in high demand, and that helped Frank, but what also helped him was his belief in himself, despite his fears, and despite his track record of delaying adulthood. Uncharacteristically, Frank came to my office with enthusiasm. He landed a job. He was proud of himself. His “spectrum” behavior disappeared. I can say with certainty that his “spectrum” diagnosis would be more accurately labeled low self-confidence. At twenty-six, he is starting his life, on so many levels. Go Frank!